If you have cats or dogs that you consider a part of the family, you will do your best to protect and keep them out of harm's way. Most pets will go outside on occasion and put themselves at risk for fleas, and you might not spot the signs of trouble from the start, preventing you from addressing the issue in the early stages. Fleas can carry and transmit a range of diseases to you and your pets, so you must strive to keep the pests at bay. Detection, elimination, and prevention are the steps you will need to take in order to keep your cats and dogs free from fleas. Excessive scratching is the first red flag you will likely notice if your pets have fleas. Some pets will scratch so much that they will remove patches of fur, and moving fast will safeguard your animals from unneeded suffering. Try to calm down your pet and use a comb to separate the fur when you would like to get a clear picture. If you see small dots that jump and run, your pet has a flea problem that you must solve as soon as possible. Once you have determined your pet has a flea problem, go to your local pet store to pick up flea shampoo, but you should ask an employee for a recommendation. The right flea shampoo will depend on the size and type of pet you want to treat. Start the process by placing your pet in the tub and wetting its head and neck, and you will then apply the shampoo and spread it across the wet spots. Next, you will soak the rest of your pet's body and apply an even layer of shampoo, ensuring that you don't miss any spots. Now that you have eliminated the fleas from your pet, you will need to take steps to prevent them from returning. You can use a flea collar to reduce the odds of another infestation, but you must also treat your home and yard for fleas if you want the best possible results. Most department stores carry flea sprays that you can use to get the job done, but make sure you find a nontoxic product. Taking steps to protect yourself and your pets from fleas can give you incredible results in some cases, but it won't always be enough to keep the tiny parasites at bay. 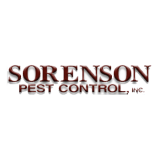 If you would like to have peace of mind and to know that fleas won't bother you or your furry friends, enlist the help of Sorenson Pest Control. Our experts have the tools and training to take care of your flea problem for good, and we can get started in no time. We are proud to serve multiple California communities, so please reach out to us for more information.